For heat to be stored or released from an exposed soffit it must of course pass between the surface and occupied space below, and although heat moves relatively quickly through concrete, it is generally more limited at its surface, which acts to some extent as a thermal bottle neck. Where possible, encouraging turbulent air flow across the soffit (as previously mentioned) will improve convective heat transfer performance, however the radiant heat transfer rate is determined by another factor called surface emissivity. This basically relates to how shinny or matt a surface is, measured by a factor ranging between 0 and 1. Emissivity matters because matt surfaces, such as that of concrete, have a high emissivity level of between 0.85-0.95, making them very good at absorbing and emitting radiant heat. 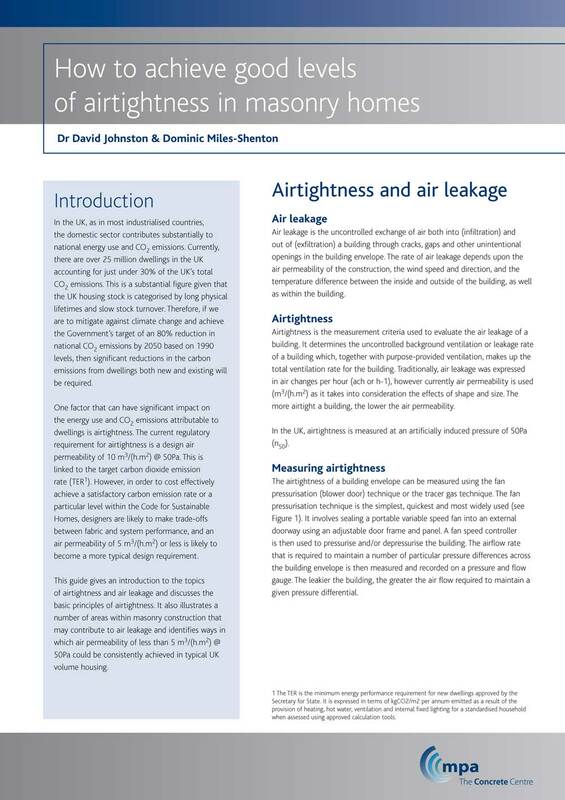 In contrast to this, relatively shiny surfaces such as galvanised steel have a much lower emissivity of around 0.22-0.28 that limits radiant heat flow. Since heat transfer to and from the soffit is typically about 2/3 radiant and 1/3 convective, a low surface emissivity has a significant impact on overall performance. In practical terms, this very much limits the thermal mass performance of exposed composite floors (steel decking with thin concrete topping), which may be further reduced if permeable ceiling tiles are used to visually screen the metallic soffit. An exposed steel composite floor has a modest cooling output of about 10-14 W/m2, falling to around 4-9 W/m2 when a permeable/open ceiling is added. This contrasts with a value of around 15-25 W/m2 for a simple exposed concrete soffit. This can increase to around 60 W/m2 when the cooling potential of the slab is fully optimised.